As with any good recipe, success depends on the ingredients. Maureen Shulsinger from Melbourne’s Emmy Monash Aged Care has found that to be true, whether it is baking cheesecakes or creating an intergenerational community program. “We were approached by Mount Scopus College wanting their students to volunteer for community work,” Maureen said. “The school originally suggested the students could perform songs for our residents but I was much more interested in developing meaningful connections through regular engagement between our residents and the students.” Maureen realised there was an opportunity for the students to experience aspects of their Jewish heritage with the residents of Emmy Monash. 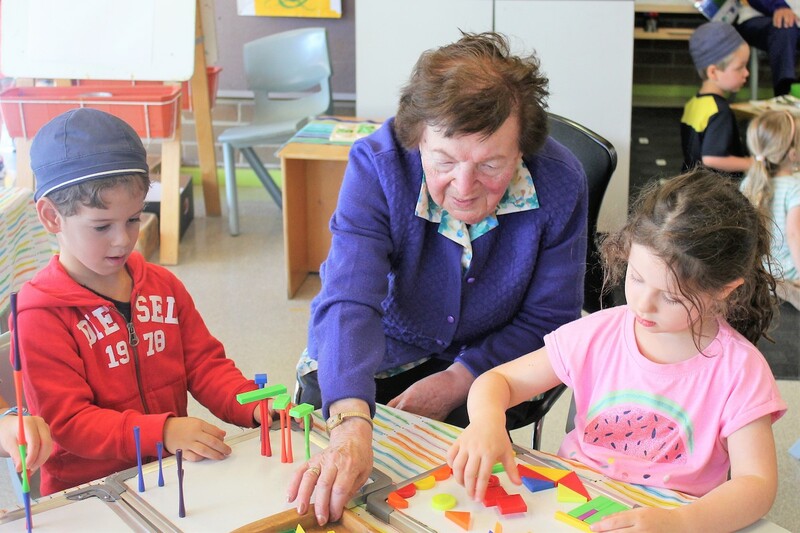 Following the success of this initial Bridging the Gap program, Emmy Monash has also introduced a weekly Friday program with Bialik College in preparation for the Sabbath. Year 6 students visit, and serve the residents at lunch including traditional Challah bread that is made on site and then wishing everyone the traditional ‘Shabbat Shalom’ (Peaceful Sabbath). Together residents and students then arrange flowers for the tables of the evening Sabbath meal. “We also offer opportunities for students and residents to cook food together as part of celebrating festivals, such as making cheese blintzes, a type of crepe filled with sweet cheese. It’s a practical way to share culture and ensure traditions are passed on,” Maureen said. For more information go to www.emmymonash.asn.au.